Surprise Eggs Christmas Edition is the best application for entertaining small children and is the ultimate surprise eggs virtual simulator. If you have kids who like to open surprise eggs, this is the perfect app for them. Surprise Eggs is the best application for entertaining small children and is the ultimate surprise eggs virtual simulator. If you have kids who like to open surprise eggs, this is the perfect app for them. Surprise Eggs is entertaining game for children combining a chocolate egg, surprise, toy and fun. Your favorite Baby Phone game in a special Christmas edition for the holidays. With easy and simple interface, visually attractive and fun to use. Created by parents for parents, Baby Phone - Christmas Songs is an interactive app that supports your babyâ€™s development through touch, sound and sight. Nail Designs application contains the biggest collection of carefully selected nail art designs. You can check Creative Nail Designs website here, or you can download Windows Phone application. White Noise application helps people to comfort and relax at bedtime. White Noise includes nature sounds, white noise and soothing sounds all that are required to induce a sleepy atmosphere. White Noise application is available for Windows Phone and Android. Click on store icons below to open and download White Noise on your phone. Baby Lullabies is application for babies and young children to comfort and relax them at bedtime. Baby Lullabies is available for Windows Phone, Android and iPhone. Click on store icons below to open and download Baby Lullabies on your phone. Baby Phone is an FREE interactive app that supports your baby's development through touch, sound and sight. Baby Phone teaches your child how to perform precise tasks at an early age, improving their dexterity. Baby Phone application is available for Android, Windows and iOS Phone devices. Click on Android, Windows or App Store (iOS), to open and download Baby Phone on your phone. 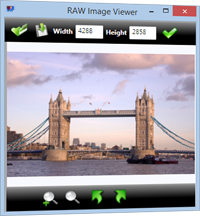 ARW Viewer - ARW Viewer is a free software that helps you to open, view and convert Sony Digital Cameras Image (ARW) RAW images to more popular image formats as JPG, PNG, GIF, BMP and TIFF. ARW Viewer is very simple to use for any type of user, beginner or novice. Click here to visit ARW Viewer website and download FREE ARW Viewer. DNG Viewer - Free DNG Viewer is a software that helps you to open, view and convert Adobe Digital Negative (DNG) RAW images to more popular image formats as JPG, PNG, GIF, BMP and TIFF. DNG Viewer have very simple user-interface that makes this software very easy to use. Click here to visit DNG Viewer website and download FREE DNG Viewer. The CyclingClubs.org is created to be the largest, human-edited cycling clubs directory on the Web. Visitors can search cycling clubs by name or location and view their contact infromation's, location, contact persons and social media groups and pages. Site-Monitoring.NET is absolutely FREE service that will notify you when your website is experiencing technical difficulties or when it is offline. Your website will be monitored on regular intervals (every 10, 15, 30 or 60 minutes) 24 hours a day, 7 days a week, 365 days per year to make sure it's up and running. FLV to AVI Converter / FLV to MP4 Converter - Free FLV to AVI Converter and Free FLV to MP4 Converter, convert your flash video files to AVI or MP4 for free. MKV to AVI Converter / MKV to MP4 Converter - Free MKV to AVI Converter and Free MKV to MP4 Converter, convert your mkv video files to AVI or MP4 for free. Marriage Jokes - Funny side of marriage. Funny marriage jokes and videos. Visit us and enjoy. ... more. Animal Jokes - animal jokes collection. Lots of funny animal jokes and videos for any animal lover. Animals can be funny! Visit us and enjoy. ... more. 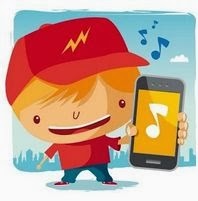 ideaMK presents you our new site Time4Joke, where you can find everything that can make your day happier. Thousands of funny jokes, tons of fun, millions of smiles. Make your day happier and smile, sunshine is good for your teeth ;). ... more. ideaMK presents new viewer for PostScript image files. This is a free tool that opens .ps file images. With PS viewer, you can rotate opened image, zoom, move, resize to selected size and convert to other images file extensions as .jpg, .png, .gif, .tiff or .bmp. PS (PostScript) viewer is very easy for use. This product is a freeware, does not contain any hidden costs and is ads free. Download it now ...more. ideaMK presents new viewer for Canon RAW image file extension. This is a free tool that opens .crw file images. With CRW viewer, you can rotate opened image, zoom, move, resize to selected size and convert to other images file extensions as .jpg, .png, .gif, .tiff or .bmp. CRW viewer is very easy for use. This product is a freeware, does not contain any hidden costs and is ads free. Download it now ...more. ideaMK presents new viewer for Fuji RAW image files. This is a free tool that opens .raf file images. With RAF viewer, you can rotate opened image, zoom, move, resize to selected size and convert to other images file extensions as .jpg, .png, .gif, .tiff or .bmp. 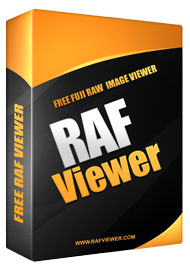 RAF viewer is very easy for use. This product is a freeware, does not contain any hidden costs and is ads free. Download it now ...more. ideaMK presents new viewer for CorelDRAW image file extension. This is a free tool that opens .cdr file images. With CDR viewer, you can rotate opened image, zoom, move, resize to selected size and convert to other images file extensions as .jpg, .png, .gif, .tiff or .bmp. CDR viewer is very easy for use. This product is a freeware, does not contain any hidden costs and is ads free. Download it now ...more. ideaMK presents new viewer for Microsoft DirectDraw Surface file extension. This is a free tool that opens .dds file images. With DDS viewer, you can rotate opened image, zoom, move, resize to selected size and convert to other images file extensions as .jpg, .png, .gif or .tiff. DDS viewer is very easy for use. This product is a freeware, does not contain any hidden costs and is ads free. Download it now ...more. ideaMK presents two new viewers for Hewlett Packard file extension. 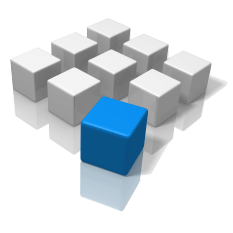 These are free tools that opens HPGL, HPGL2 and PLT file types. With PLT and HPGL viewer, you can rotate opened image, zoom, move, resize to selected size and convert to other images file extensions as .jpg, .png, .gif or .tiff. These viewers are very easy for use. PLT and HPGL products are freeware, does not contain any hidden costs and are ads free. ideaMK presents new viewer for Nikon Electronic Format file extension. This is a free tool that opens .nef file images. With NEF viewer, you can rotate opened image, zoom, move, resize to selected size and convert to other images file extensions as .jpg, .png, .gif or .tiff. NEF viewer is very easy for use. This product is a freeware, does not contain any hidden costs and is ads free. Download it now ...more. 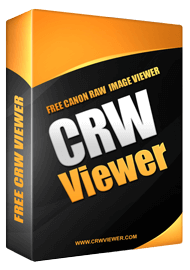 ideaMK presents new viewer for Canon RAW Digital Images file extension. This is a free tool that opens .cr2 file images. With CR2 viewer, you can rotate opened image, zoom, move, resize to selected size and convert to other images file extensions as .jpg, .png, .gif or .tiff. CR2 viewer is very easy for use. This product is a freeware, does not contain any hidden costs and is ads free. Download it now ...more. ideaMK presents new viewer for TGA file extension. This is a free tool that opens .tga (Truevision Graphic Adapter) file images. With TGA viewer, you can rotate opened image, zoom, move, resize to selected size and convert to other images file extensions as .jpg, .png, .gif or .tiff. 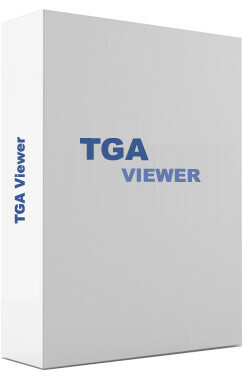 TGA viewer is very easy for use. This product is a freeware, does not contain any hidden costs and is ads free. Download it now ...more. ideaMK presents new viewer for PCX file extension. This is a free tool that opens .pcx (Personal Computer eXchange) file images. With PCX viewer, you can rotate opened image, zoom, move, resize to selected size and convert to other images file extensions as .jpg, .png, .gif or .tiff. PCX viewer is very easy for use. This product is a freeware, does not contain any hidden costs and is ads free. Download it now ...more. ideaMK presents new viewer for PSD file extension. This is a free tool that opens .psd (Adobe Photoshop) file images. With PSD viewer, you can rotate opened image, zoom, move, resize to selected size and convert to other images file extensions as .jpg, .png, .gif or .tiff. 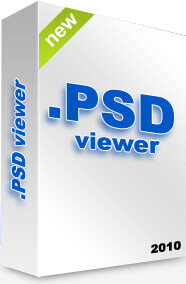 PSD viewer is very easy for use. This product is a freeware, does not contain any hidden costs and is ads free. Download it now ...more. ideaMK presents new viewer for Ai file extension. 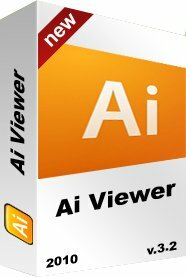 This is a free tool that opens .ai (Adobe Illustrator) file images. With Ai viewer, you can rotate opened image, zoom, move, resize to selected size and convert to other images file extensions as .jpg, .png, .gif or .tiff. Ai viewer is very easy for use. This product is a freeware, does not contain any hidden costs and is ads free. Download it now ...more. ideaMK presents new viewer for EPS file extension. This is a free tool that opens .eps file images. With EPS viewer, you can rotate opened image, zoom, move, resize to selected size and convert to other images file extensions as .jpg, .png, .gif or .tiff. EPS viewer have a very simple interface and is very easy for use. This product is a freeware, does not contain any hidden costs and is ads free. Download it now ...more. For more informations of us and our products, feel free to contact us in any time.